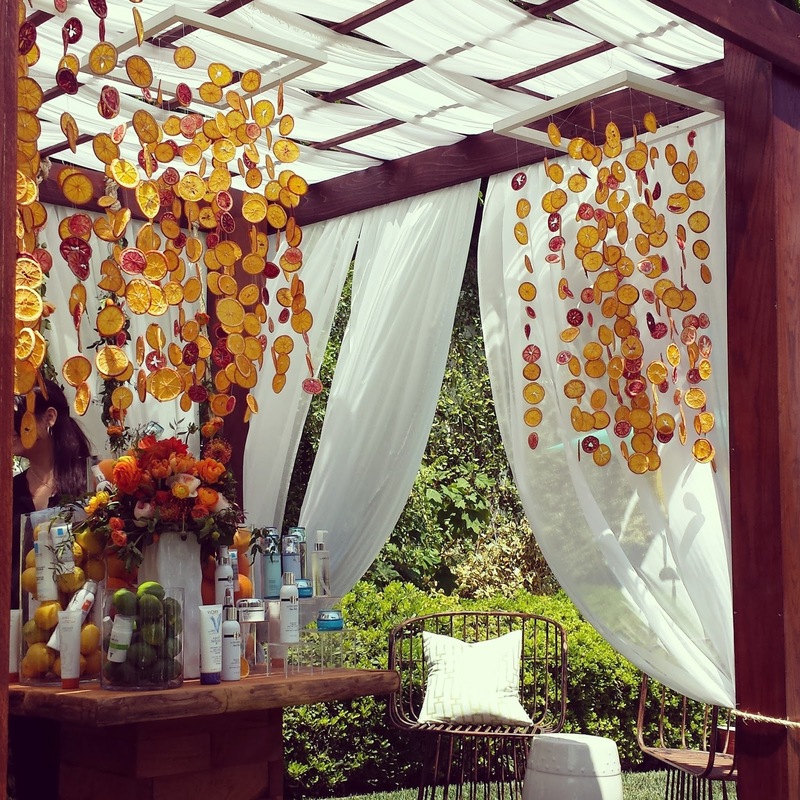 Look at how pretty the citrus chandeliers are! 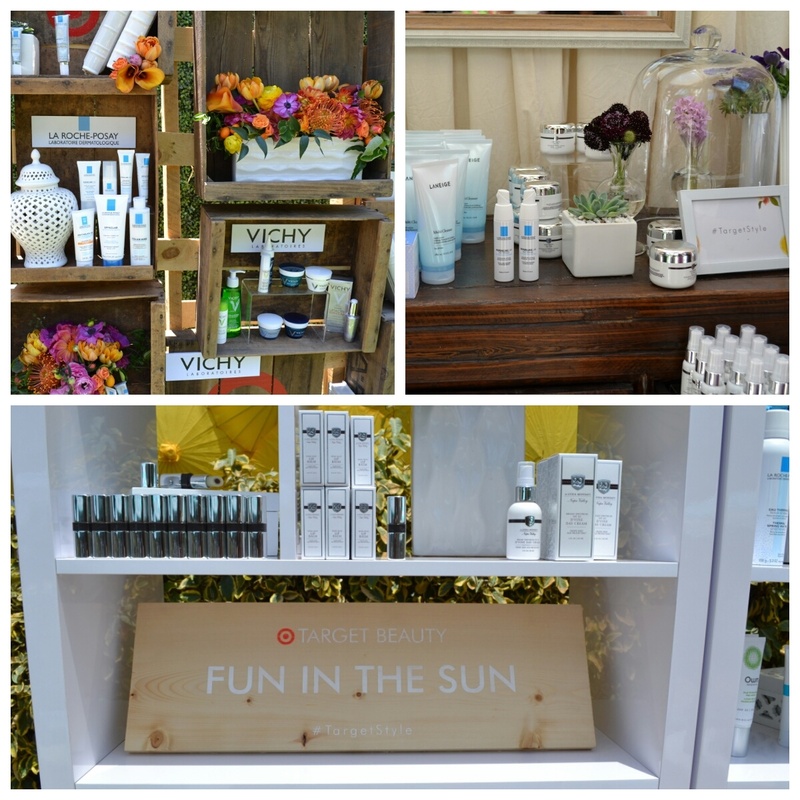 The event was all about the new skincare lines that are at Target. 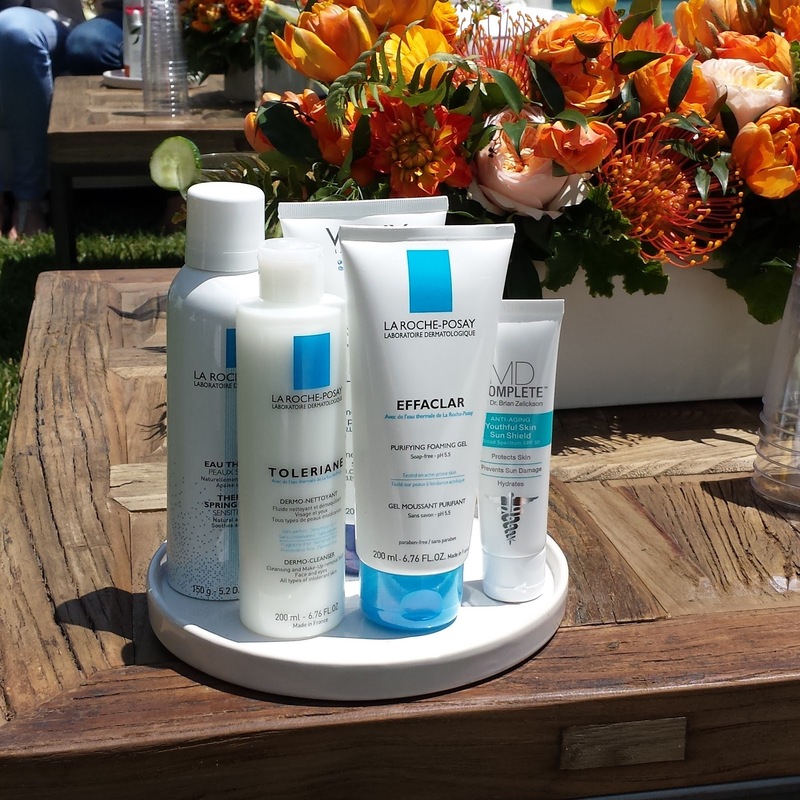 There are 7 premium skincare lines: La Roche-Posay, MD Complete, Borghese, Own Skincare, Vichy, 29 Lydia Mondavi, and Laneige. 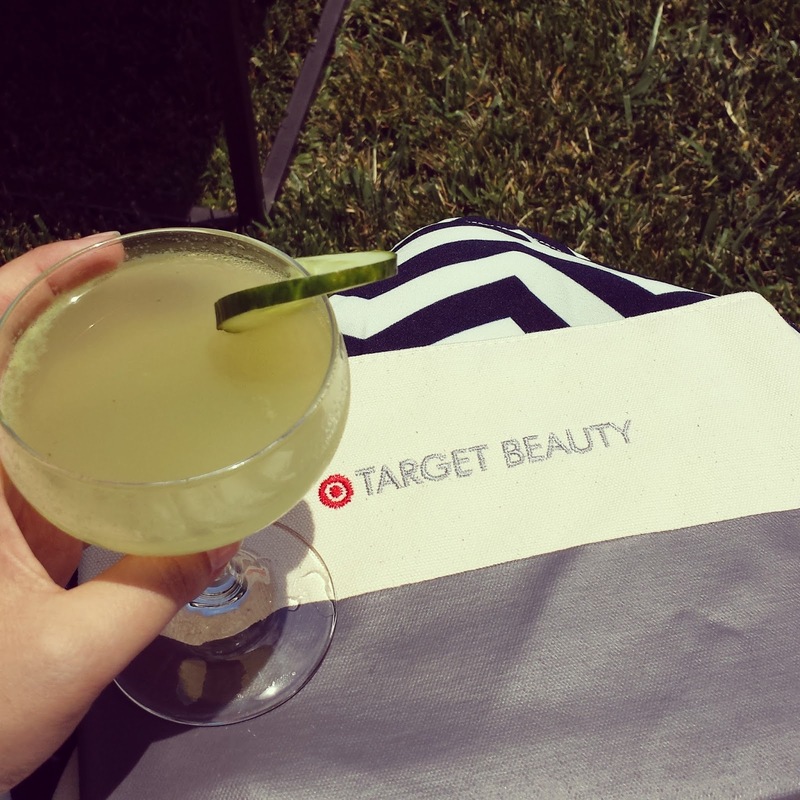 These brands are more high end for Target and that's what makes this new launch really exciting. I loved everything about this event, from the yummy food to the beauty products displayed everywhere. 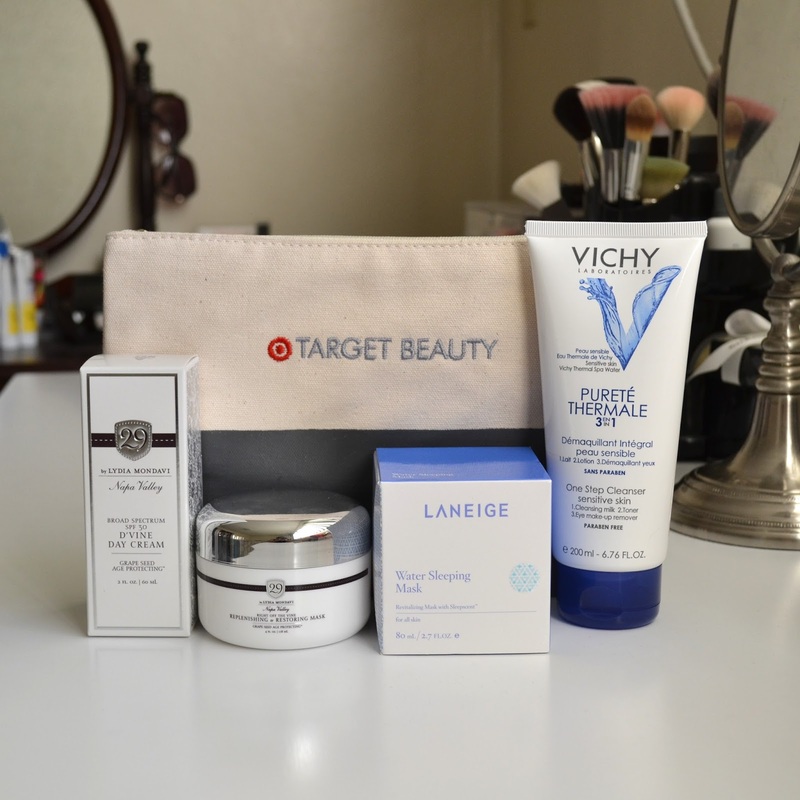 I was able to get 1-on-1 consultations with different Target Beauty Concierges. I let them know my skin care concerns and they made sure I went home with the right products for my skin. Everyone was incredibly helpful and so sweet. I will definitely be reviewing these in the future. I've been using the Vichy cleanser and the 29 Day Cream. The two masks will be more during the weekends or when needed. Let me know if there is one of the products that you want me to review first. Products mentioned were provided by Target Style for review consideration.